One of the most anticipated rock and roll music festivals will be back in full swing from May 15 to 17, 2015 in Columbus, Ohio. 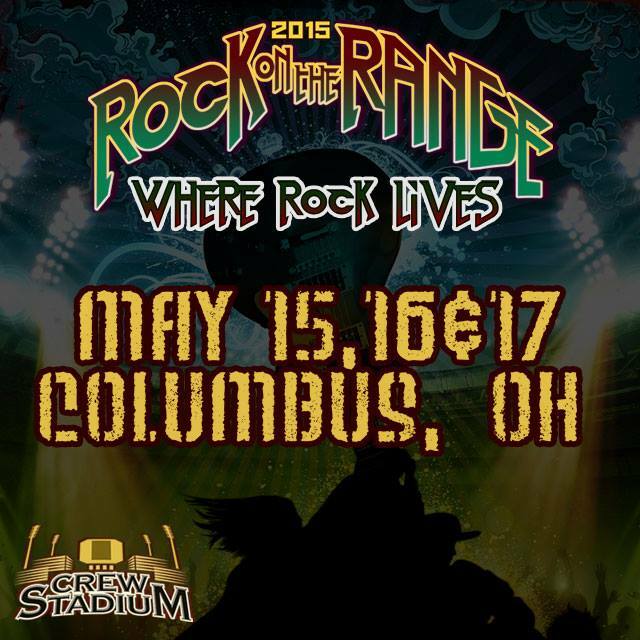 Rock On The Range 2015 has finally announced their lineup of hard rock heavyweights for the upcoming festival. The weekend will be rocked by headliners Slipknot, Judas Priest, and Linkin Park, with undercard support from many exciting bands to follow. Heavy outfits like Rise Against, Breaking Benjamin, Papa Roach, Of Mice & Men, and Motionless in White are also included on the biggest and best lineup that Rock On The Range has had to date. Check out the website now to order specially priced pre-sale tickets to this incredible festival. The festival’s full lineup can be found below. Linkin Park, Slipknot, Judas Priest, Godsmack, Marilyn Manson, Breaking Benjamin, Rise Against, Volbeat, Slash featuring Myles Kennedy and The Conspirators, Papa Roach, Halestorm, Of Mice & Men, Ministry, Anthrax, Tech N9ne, In This Moment, Hollywood Undead, Live, Scott Weiland and the Wildabouts, Yelawolf, In Flames, Motionless In White, Saxon, Rival Sons, Falling In Reverse, Apocalyptica, Hatebreed, Periphery, Nonpoint, Baby Metal, The Devil Wears Prada, Dillinger Escape Plan, We Are Harlot, Starset, New Medicine, Beartooth, You Me At Six, Young Guns, Dorothy, Crobot, Shaman’s Harvest, Like A Storm, Unlocking The Truth, Islander, Marmozets, Sabatron, Upon A Burning Body, From Ashes To New, Red Son Rising, and Santa Cruz + more to be announced!